I feel that at least one page on language has gone missing, but maybe I extended Language Two with what I thought worth recording. Whatever, this is written a good deal later and with a new impetus to study. Working for pay and being paid to work in English gives little incentive to explore the local language. Having pitifully little interaction with the locals is no incentive at all. Living with one is a different case altogether. In moving to Zhaoqing, the language changes are more severe than the similar distance in moving from Xi’an to Nanjing, for Guangdong is predominantly Cantonese. The accent in the Mandarin is stronger and the lack of ability to roll any R sounds is even stronger. Not that there is much cause for any R in Mandarin, but the approximations are avoided by a distinct change in common usage. Add to this the ‘local’ effect of thinking that there is no accent ‘here’, wherever here is, and you have quite a different situation. Any European who thinks Mandarin and Cantonese are similar is right – if they also think Spanish and Portuguese are. Here is a document copied from Word that is tries to demonstrate the current set of confusions. Shi is not pronounced Shee or Shy but more like Shuh; what I would call better pinyin writes this as shr, not shi. Jiao rhymes with miao; the qi sound is more akin to chee and the xi sound very similar but with more of an x at the start. XieXie, thank you, is not really shayshay, although that works; it is nearer to sheeaysheeay but the sh still needs a hint of x in it. Where Pinyin puts an -ian, as in dian, the system fails as the sound is much more an -ienn; dien would be better spelling than dian. I have failed to add all the tone marks in, but at least I have discovered how to make them be published within iWeb. I am trying to improve my Mandarin. I now have ten meanings (I wrote them down without recourse to a dictionary) for 'shi', ten for 'jiao' and eight for 'dian'. Each of these has a full 150 in my electronic dictionary. What I must find is a usage frequency table so as to have an idea which (if any) new meanings to attempt. I also need to create a set of tongue-twisters so as to get the tones right (or closer to right). Recent break-throughs are being able to form new sentences from mixing ideas. A: Shi Jian ma? What time is it? Still not translated, at bed-time I hear "Shui jiao ba" , presumably 'good night'; I still wonder why she is saying "water yells eight"..... or is that "who're you teaching?" or is it a mild instruction to eat dumplings ? Wǒ jiǎo shuì I pay tax c.f. shui2 jiao4 ba from the top !! Wǒ jiāo shùxué I teach Maths not ‘I’m called BookStudy’ as I thought.. So? Clearly getting one’s ear and voice around the necessary tones is essential. How to remember these is the problem. 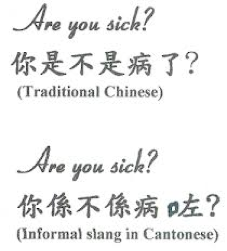 I hear a new word in context: assume I correctly guess its meaning; I try to remember the sound well enough to guess at the pinyin; I go to my dictionary and use either Pinyin or English to find the word. 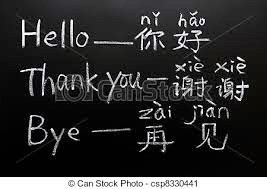 The pinyin gives, typically between 10 and 150 answers (longer input gives fewer responses). The English gives typically a dozen or so. If there are people nearby with two (both, each) languages I will then prompt an argument about which words are ‘correct’—meaning in their habit—to use. Which only adds the confusion. I actually prefer to work on this alone, because the argument (discussion) only serves to add layers of confusion, to the point (actually well past it) where you wish you’d never been curious at all. Which in turn does nothing to further the learning !! original 20100102, a palindromic date. There is significant difference between the ways we use oral and written language. So not only do I see little point in learning interrogatives because the answer is going to be far too hard and unpredictable to follow. I see little point in learning those characters, which are spoken not written. As in this picture from Camstock.